Sarah and the children have being getting creative on the topic of dinosaurs. 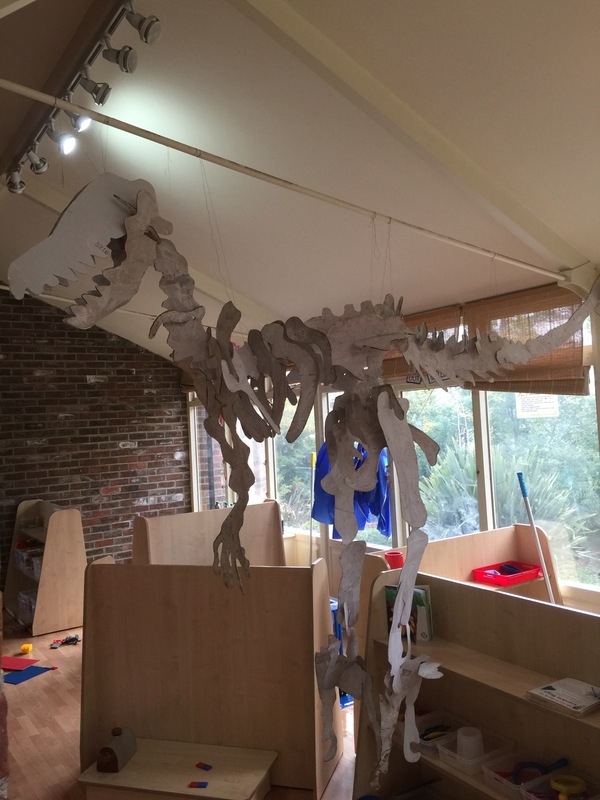 After making their dinosaur cave, Sarah got them started on looking at shapes of bones made out of cardboard. The children painted them white, and today we hung the bones up. We now have our very own dinosaur. Big creative outcomes can be achieved with the children if they only have to do little bits at a time. We are now going to ask the children to come up with a name for this terrifying beast!